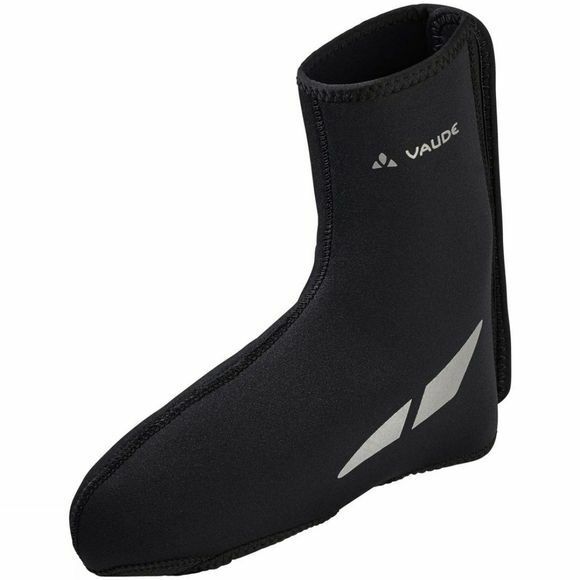 The Shoecover Pallas III Overshoe from Vaude keeps you dry and warm. The insulating overshoe made from wind resistant neoprene material fits tightly over your bike shoe and protects your feet in cold weather. Seams are taped on the inside to ensure that no water gets through. The neoprene material is ecologically manufactured in accordance with the strict environmental bluesign standard. With Velcro closure and Kevlar reinforcement at the sole. The Vaude Green Shape label stands for environmentally friendly, functional products made from sustainable materials.